that you will realize that you have not been present. merely dreaming that you are awake." We burst forth from the womb awake and ready to apprize life as our own minds and bodies experience it. From that moment on the world around us tries to put us to sleep. We live in an illusionary world with false perceptions of who we are. 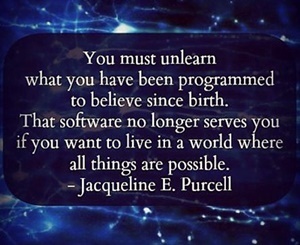 From the time we are born we are programmed with the thoughts and expectations of our parents, our teachers, our religious leaders and even our friends to become what they want us to be and we grow up to believe that their perceptions of how they view life are how we should view life as well. The word "occult﻿" has become somewhat generic and the study of the occult﻿ has come to generally be taken as the study of hidden or secret wisdom that is only revealed through divine master or messiah who possesses the knowledge of magical and mystical arts, or who has access to supernatural powers or agencies which they have told you is beyond your ability to understand. The truth is that this “hidden wisdom” is often not hidden at all, but in plain sight, in places you have been told not to look. While you may find bits of it in the study of astrology, alchemy, numerology, or in seemingly magical and mystical writings, a great deal of what you find is often presented in such a way as to make the presenter appear to be mystical and profound in order to make you believe that they are the only keepers of the knowledge you seek. They want you to believe that whatever knowledge these "annointed ones' possess can only be revealed to you in return for your devout adoration , (and for a fee ), just like the more "conventional" forms of religious indoctrination﻿ that got you lost in the first place. There are phenomena in the universe that while appearing to be supernatural are really quite natural, only we do not as yet have the capacity to understand the natural laws through which they operate. Indeed, the study of quantum physics would seem to be implying that the entire universe is held together by some sort of consciousness, operating within incredible laws of nature that we cannot as yet even begin to comprehend. Do we really know what forces are effecting the course of our lives? our whole concept of reality can shatter in an instant? 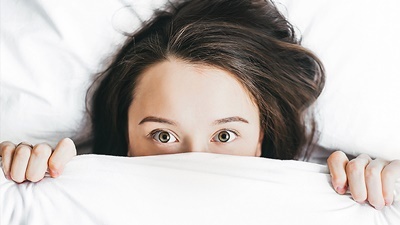 A Black Swan﻿, (a term popularized by Nassim Nicholas Taleb﻿ ﻿ in his book "The Black Swan")﻿, is an event or occurrence that deviates beyond what is normally expected of a situation and that illustrates a severe limitation to our learning from observations or experience and the fragility of our knowledge. 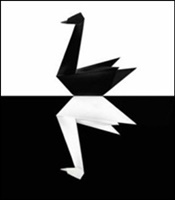 One aspect of the black swan theory suggests that upon observing 100 swans the norm is to fixate on the one black swan (the black swan event) to the exclusion of the ninety-nine other white swans.Taleb suggests that "9/11" might therefore be viewed as a "black swan event" in that its effect was to cause a fixation on the 1% of the time that there is a security threat to the exclusion of the other 99% of the time when there is no threat. Conversely, Taleb also suggests that had an individual, on the day before "9/11", instituted a security policy that prevented the attack, the actions of that individual (a white swan) would have gone unnoticed as there would have been no "black swan event" to bring the matter to attention. Therefore, "the hero who prevented 9/11 and changed the course of history" would never have been recognized as having done so.